Welcome to the final print issue of Backwoods Home Magazine. After this issue, we’ll be available only as a bi-monthly digital magazine on Amazon’s Kindle platform, plus we will have a once-a-year print anthology each December that will include the whole year’s worth of Kindle issues. We will also maintain a free active website at www.backwoodshome.com that will feature updated blogs by Jackie Clay-Atkinson and Mas Ayoob, a Twitter page by me, and other new material by John Silveira, Jeff Yago, and many authors familiar to BHM readers. I’m glad I announced nearly a year ago that the print issue of the magazine will close. It has given subscribers time to adjust, although many are still suffering from the shock. The reader passion for the print issue of Backwoods Home Magazine is particularly strong, so the consequent disappointment at its closing is rather severe. The tears have been real for many print issue subscribers and, to be clear, “print issue subscribers” have been this magazine’s most important asset for all of our 28 years. It was you " not our advertisers, not our newsstand buyers, and not our website users " who kept us in business. You paid our salaries and our bills, and I am indebted to you for giving us the money to operate all these years. BHM has been a very personal endeavor from the beginning. It was born 28 years ago out of my efforts to renew my own life after essentially dropping out of mainstream society. My little daughter, Annie, and I built a house in the Oregon wilderness. As we built, gardened, and carved out a shaky living in the backwoods, BHM emerged. 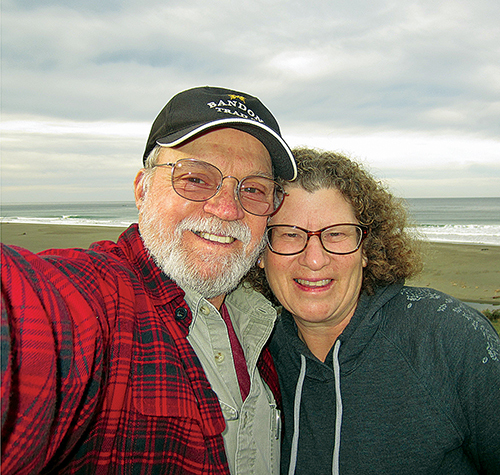 I met my wife, Ilene, after the second issue, and she became an essential part of our team. Thousands of readers subsequently discovered that they too had a dream that did not involve mainstream America. Like us, they had a general feeling that life was more than a humdrum job you worked at until you retired. A more satisfying life had a lot to do with taking care of yourself and enjoying the fact that you knew how to take care of your family even if everything around you had come crashing down. It involved a set of skills and knowledge you had to learn, and sometimes it even involved building your own home. That is why, I think, that the closing of the print issue is difficult for many to accept. Some confuse it with the discomforting idea that the dream is ending. But the dream is not ending, not for me, not for you. The closing of the print issue is simply a reflection of the increased price of paper and postage, plus the power of the internet. The dreams and the real-life fulfillment of those dreams are still there, but the ways we discuss them among ourselves have changed. We could have sold the rights to continue printing a publication called Backwoods Home Magazine, but it would not be the same. The company that now prints Countryside and Small Stock Journal, the publication formerly owned by the Belanger family, talked with us about buying BHM. We could have walked away debt-free and with money in our pocket. But I think the current Countryside bears only a superficial resemblance to the original Countryside published by its founder, JD Belanger. The same happened to Mother Earth News after its founder, John Shuttleworth, sold it. I’m sure the same fate was waiting for BHM had we sold, and I couldn’t allow that. I did not work this hard for 28 years so BHM could become a second-rate magazine in a conglomerate’s stable of other second-rate magazines. So I am closing the print issue and going fairly deep into debt to pay off our subscription obligations so I can maintain the quality of the print issue of BHM to the end. It may not be the sensible financial decision, but it’s the only decision possible for a publication that was produced with love, as well as intellect. My wife, Ilene, and I have worked hard for many years. But we weren’t the only people involved. Many writers, editors, and office personnel contributed mightily. The writers know who they are. They have received your plaudits in numerous letters, emails, and phone calls. Our office staff consists largely of unsung heroes, and they have been especially important during these final months. They include Lisa Nourse, Rhoda Denning, Ellen Mellon, Jim Van Camp, and Jessie Denning. All but Jessie have been with BHM for at least 15 years. They made the business “personal” by handling the phone calls and details that ensured satisfied readers. If you’ve ever dealt with our office in any capacity, you know what a great job they’ve done, and I’m very thankful. So here’s to all of us — writers, editors, office staff, and readers — for having created and enjoyed for 28 years a wonderful publication called Backwoods Home Magazine.